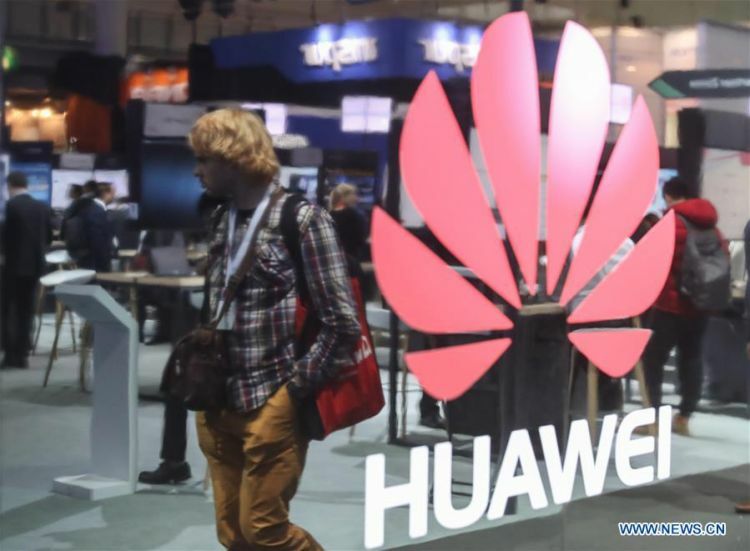 Chinese telecom equipment maker Huawei Technologies Co Ltd launched an artificial intelligence (AI) computing platform in Shenzhen on Wednesday, as the tech giant beefs up efforts to enhance its intelligent computing capability to help industries turn "digital and smart". Atlas, as the platform is called, is powered by Ascend series AI processors, which Huawei unveiled in October. It will become a key driver for establishing the company's AI ecosystem and achieving its aim of creating a "fully connected intelligent world", the company said. "Huawei's strategic vision is to work with partners from various industries to bring every person, every family, every organization into a digital world and create a fully connected intelligence world," Hou Jinlong, president of Huawei's Cloud & AI product and service, said at the Huawei Intelligent Computing Congress 2019, held in Shenzhen on Wednesday. As one of the platform's series products, the Atlas 200 AI acceleration module, which is half the size of a credit card, enables real-time analysis of 16-channel high-definition video. It can be installed in such devices as drones and cameras, with a power consumption of only 10 watts. The intelligent computing platform can be applied in a range of industries, including transportation, medical care, retail and finance, to help them become "smart". In transportation, for example, Atlas, with its super algorithm, can help ease traffic jams by controlling traffic lights according to different traffic conditions. "With the help of the Atlas platform, traffic delays in Shenzhen's Bantian area during rush hours have been reduced by 17.7 percent," Ma Haixu, president of Huawei's intelligent computing business unit, said. As a demonstration of Huawei's push to promote its computing business, the company set up an intelligent computing business unit in December, with the aim of providing support for the advent of the internet of things era. According to a report from Tractica, a Boulder, Colorado-based market intelligence firm that focuses on human interaction with technology, the global AI market is expected to hit $37 billion in revenue by 2025, a 57-fold jump from $644 million in 2016. In China, AI-related industries are projected to generate up to 26 percent of its gross domestic product by 2030, the report said, adding that the largest sector gains will likely be in retail, financial services and healthcare.